Could Search Engine Optimisation Have Saved Toys 'R' Us? Could Search Engine Optimisation Have Saved Toys ‘R’ Us? 28 Mar Could Search Engine Optimisation Have Saved Toys ‘R’ Us? Over the past few weeks, we have been discussing a lot of economics and large business future at Turtle Media HQ. One of our staff raised a very good question. Could SEO or search engine optimisation have saved Toys ‘R’ Us from administration? 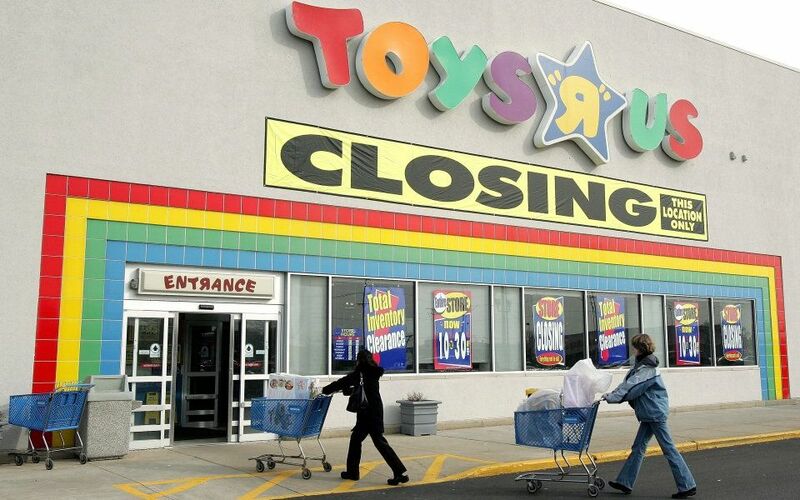 The giant toy store was founded in 1948 and in case you’ve lived under a rock, they have recently announced that they will be closing their doors. As a child born in the 1980s I can say it’s truly a sad day to see the store be in this position. Anyway, let’s see what our office discussions thought about their demise. Let’s look at one of the main reasons they have failed. It all comes down to the .com generation. One of the staff here believed they failed due to times being tight and people penny pinching to save money. However, I feel it’s some of that and more of the ease of access to 100s of prices within 10 seconds. If there is a toy in Argos let’s say and it’s £19.99 it doesn’t take long to figure out how much the same toy is in another store. With pricing now being accessible and very important, it all comes down to who does their marketing the best. Or does it? Toys ‘R’ Us are famous for their jingle, that’s all I’ll mention about it or you’ll be singing “it’s a magical place” over and over again. However, can you recall 1 advert that mentions price, quality or warranty? We’re in a fast-moving world and I see adverts every day for how cheap something is or how their warranty is fantastic. Neither can I, it doesn’t mean they offer a terrible service, it just means someone made some bad decisions. I’ll run a quick search on Google for “hatchimals” I know they’re a popular toy and fairly expensive. They do appear on page 1 however, they rank 8th. Not great but at times when everyone else is sold out, it will generate traffic. So I’ll click on the website and see if I can find the toy my child covets so much. You guys are all welcome to follow this and see what you think of the process. The page I was greeted with appeared to be full of hatchimal accessories. Although prices ranged from £3.99 to £64.99 I couldn’t see the picture made famous by the hatchimal advertising or what my children have shown me. As you can see from the picture above, left we have what hatchimals look like on every other UK store website. On the right, we have the listing for Toys R Us hatchimals page. Nothing there tells me that’s what it is and if I was looking to buy, I’d be straight off there and on to something else assuming they don’t stock them. The same format is something I see replicated across many different products on their website. They’ve tried to look different to other stores. It’s a nice idea to look different, however, drastically changing the product image isn’t something anyone can do apart from the manufacturer, no matter how big you are. From the outside looking in, it appears as though their in-house tech team got a little bit too complacent and relaxed on the job. I may be totally wide of the mark here but in an internet-savvy world, you need to be the best you can and giving customers what they want quickly. Changing pictures is a distinct lack of doing so. Could SEO Have Saved Toys ‘R’ Us? Let’s answer the question then. In our opinion at Turtle Media HQ search engine optimisation could not have saved the toy giant. We came to this conclusion after talking in depth overall points above. The lack of competitive pricing, poor website structure and the reliance on a brand without trying to build on it. We do firmly believe however, they were not beyond saving. SEO, a strong tech team for the website and an audacious marketing department change could have helped keep the toy giant open a little bit longer. As it happens, they don’t have the money or ability to do that anymore and unfortunately, we will soon be seeing the last of Toys ‘R’ Us on our high streets.